With social media these days, it isn't very hard for news to travel fast. When it comes to restaurant reviews, it can easily make or break a restaurant within days of opening. However, is it really all that fair? Think of it, when a place first opens, things are generally not running smoothly and/or preparation of the food will need refinement. So to either gush about a place or write it off completely would be a pretty quick assumption. 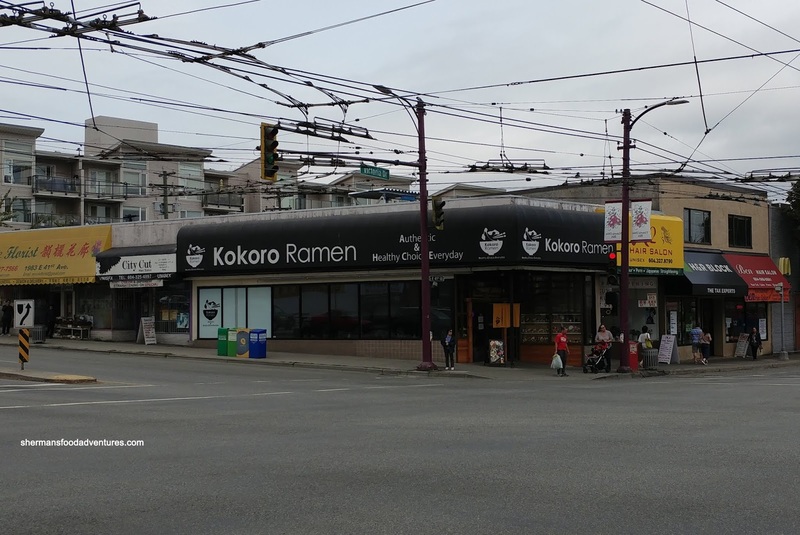 A good example is Kokoro Ramen where it was skewered online when it first opened its doors. Granted, some of the criticism was fair, but apparently they have improved upon their recipe. Pebbles tipped me off to this fact as she has been there many times. So with that in mind, I finally made it out there to see for myself. 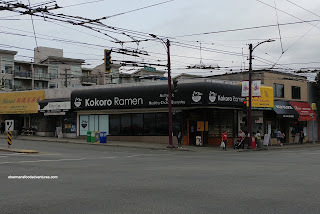 Kaiser Soze decided to go basic with the Miso Ramen with no additions. As such, it looked rather bare where the portion size was definitely on the smaller side. We weren't sure if this would be enough for someone who was truly hungry. This was further exacerbated by the modest amount of noodles, albeit they were al dente and appealing. As for the broth, it was impactful with the distinct fermented aroma of miso. This was actually rather pronounced which was a very good thing. 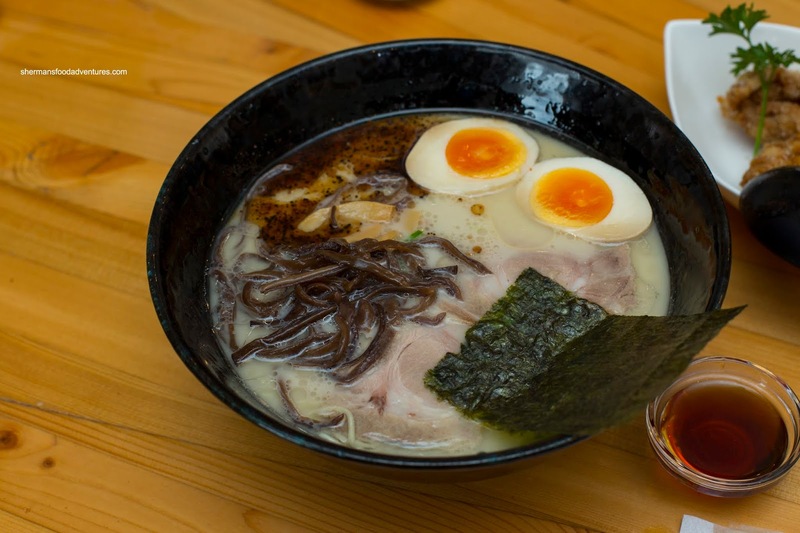 For myself, I went for the Shio Tonkotsu with black garlic oil. One taste of the broth and the creaminess of the bone marrow really came through. It was silky, meaty and full of umaminess. I found the thin noodles to be a bit on the softer side, but still good. 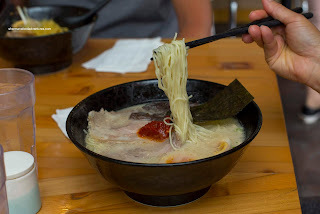 The fatty slices of chashu were tender while still retaining a meatiness. Dre was smart about things and asked for the thicker yellow noodles prepared firm for his Kokuton. Hence, his noodles were extra chewy and remained so until the end. We could really taste the pork in this as it was full-of-depth. 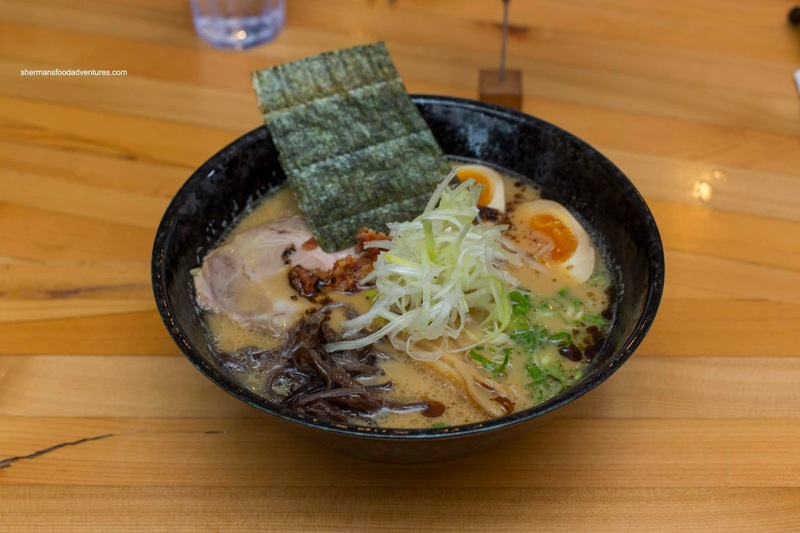 There was a umami mushroom finish to the broth that was very appealing and impactful. Of course, the black garlic oil had a lot to do with this. His soft-yolk egg was like everyone else's where it was soft and silky. 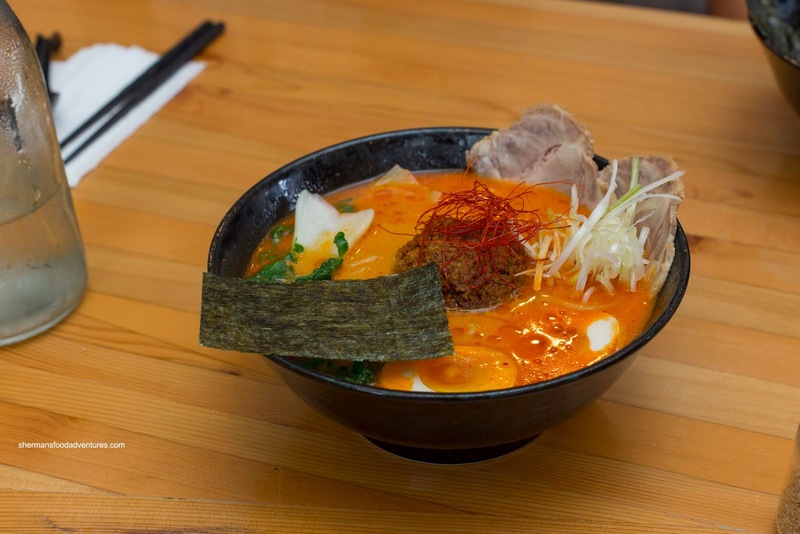 Milhouse went in a completely different direction with the Spicy Tan Tan Ramen in a pork & chicken broth with ground pork, Tokyo negi and togarashi. This wasn't as spicy as it appeared, but hardly bland either. The broth was midly creamy while the noodles were al dente. Egg was exactly as good as the rest of our orders as well as the chashu. Ro had the Akaton Ramen consisting of pork broth, black garlic oil, wood ear mushrooms, bamboo shoots, chashu and a dollop of spicy sauce. Although this featured thin noodles, they were still chewy and perfectly cooked (compared to mine). The broth was quite similar to my shio tonkotsu except amped by the spicy sauce. Once again, the egg and chashu were consistent with the others. Lastly, I got a side of Chicken Karaage and although the colour was rather pale, it ate well. 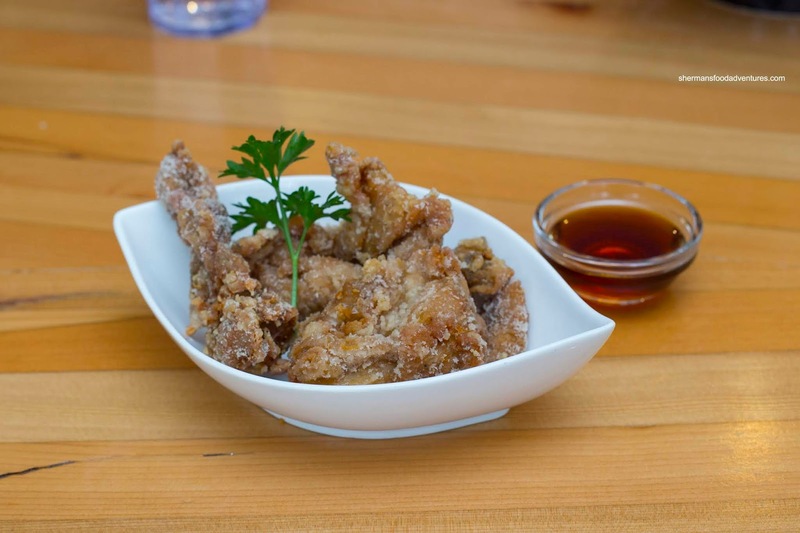 Fairly crispy on the outside, the batter didn't eat greasy while the chicken itself was tender and moist. I didn't really need sauce on the side as the chicken itself was seasoned enough. 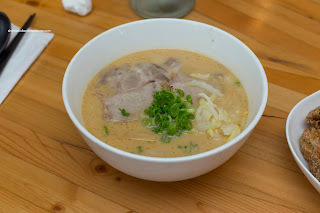 For this visit, I guess we got the new and improved version of Kokoro because the broth was impactful Prices and portion size can be contentious for some.